Petteri Tikkanen (born in 1975) is a comics artist, illustrator and teacher known for his sympathetic storylines coupled with recognisable characters created with careful brush linework. In his main body of work he depicts the life of two children, Kanerva and Eero, whose adventures are situated in an undefined, nostalgic era some three decades back. 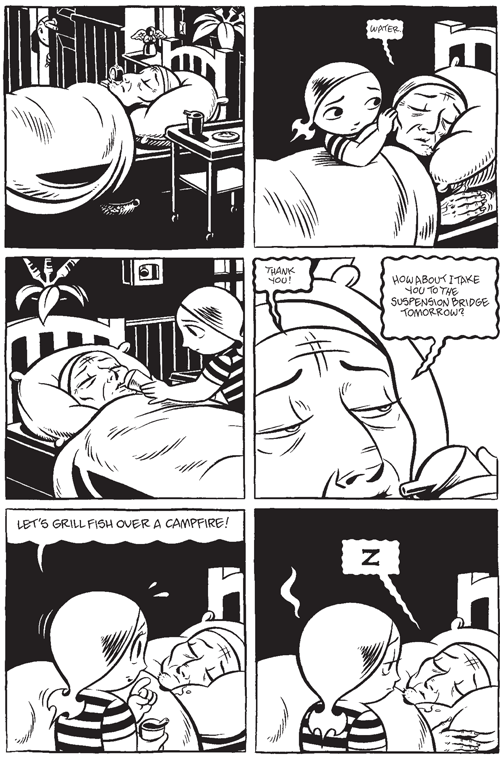 Although Tikkanen’s comics are sympathetic and warm, he is not afraid of deeper subject matter, such as death or puberty. In Tikkanen’s last two graphic novels, Eero (2009) and Mopo (2011), Kanerva has grown up to be a young woman while Eero is still yet to become a man. Tikkanen’s alter ego is Black Peider, a mysterious wrestler/superhero who occasionally steps out of the pages of comics as Tikkanen performs at Helsinki Comics Festival and other events. Eero received the Sarjakuva-Finlandia award for graphic novel of the year in 2010.